Many positive benefits are associated with learning the art of ballet. Besides learning the traditional techniques of ballet, ballet lessons can also foster a positive self image in young girls, as well as young boys. Ballet teaches skill, grace, poise, self discipline and self confidence. If your dream is to become a ballerina, you must practice a lot in order to master the many challenging poses and steps of ballet. You will begin by learning the rules and traditional techniques of ballet which have been handed down over the centuries. 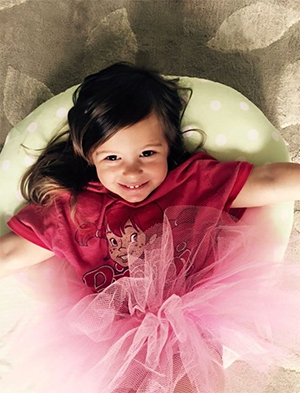 Storybook Dance is a creative movement program for your little one that incorporates children’s literature, stretching, introduction of ballet terminology through rhymes and song, musical awareness and etiquette in a fun and safe environment. The class is designed to introduce children to the art of dance, develop self confidence and improve motor skills. 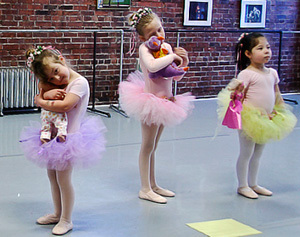 3-5 year old children dance and explore their imaginations as they act out stories using imagery and creative movement. Click here for our Lexington Schedule or Main Street Schedule. A bridge between Storybook Dance and Elementary level ballet, Pre-Ballet introduces basic ballet skills and terminology, while focusing on creative movement, stretching, large motor skill movements and coordination in a fun and structured environment. Click here for our Lexington Schedule or Main Street Schedule. Click here for our Lexington Schedule or Main Street Schedule.